Report of the Rarities Committee. Year 2005, second part : Species subject to national homologation. This combined report of both Belgian rarities committee (the Flemish, BAHC, and the French-speaking, CH) deals with records of birds subject to national homologation in Belgium in 2005. It also includes a few older records that had not yet been assessed by the committees, and a revision of previously accepted records of Black-headed Wagtail (Motacilla flava feldegg) and Lesser Kestrel (Falco naumanni); the latter species is removed from the Belgian list. 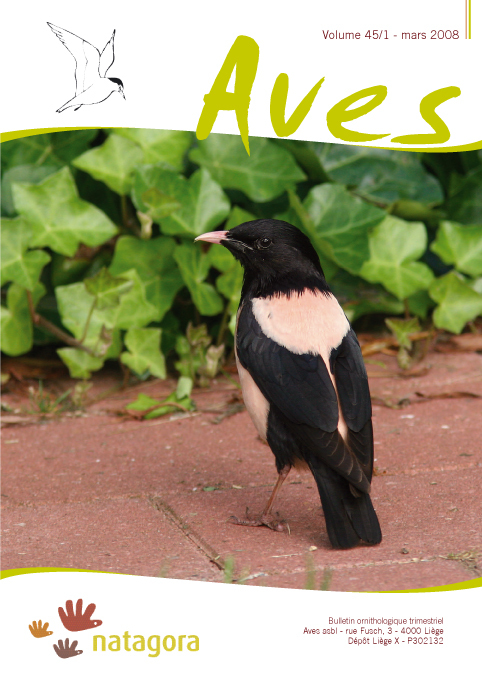 The year 2005 brought only one potential new species to the Belgian list (Olivaceous Warbler, Hippolais pallida), but this record is still under review. Is the Wood Warbler an indicator species for the quality of Ardennes deciduous forest ? Capture of a Canada Goose (Branta canadensis) chick by a Heron (Ardea cinerea). Arrival of White-winged Terns (Chlidonias leucopterus) in the Walloon Region in May 2007.